At some point in our lives, we may experience a moment so special it stays with us forever. This special moment came for me when I visited South Africa in late 2014. I undertook a wildlife conservation internship at UmPhafa Private Nature Reserve which is owned by Colchester Zoo in the UK. This reserve is about 3.5 hours north-west of Durban. It did incur some costs which covered my food, accommodation, in addition to supporting their conservation work initiatives. This reserve was being rehabilitated to bring wildlife back and restore habitat to its former glory (it had suffered severe degradation from former agricultural activities). I still remember my first morning at the reserve. I stepped out to the front porch and I was greeted with this magnificent view which knocked my wind out. It was an unreal moment; I simply could not believe I was here. Right here in South Africa ready for ten weeks of work in this beautiful reserve. When I close my eyes, every single detail of this view flashes before me as if it was yesterday. 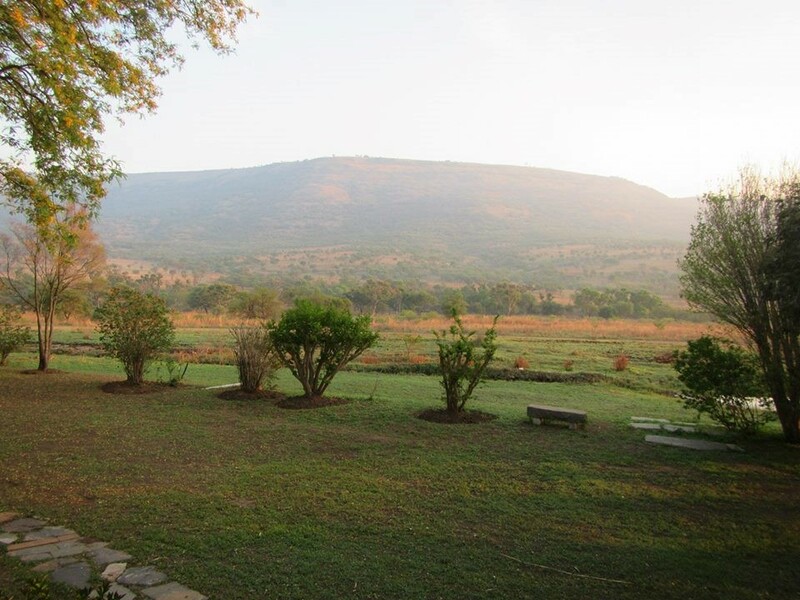 On a nice sunny day, you can even see the outline of the Drakensberg Mountain some distance away from the reserve. Before you can get your hands dirty, safety briefing at the reserve was paramount. It was easy to forget the lurking dangers when you are overwhelmed by the beauty and feeling of being in a country which you have dreamt about all your life. This moment arrived sooner than expected; in fact, it arrived on the very first night. As we were about to have our dinner, some excitement erupted in the kitchen. As it happened, a Night Adder (Causus rhombeatus) had made its way through the back door and decided to take refuge under the washing machine. The house cat (wild as ever) promptly sussed this out and almost took on the Adder. Thank goodness, one of the other interns spotted this soon-to-be dangerous battle even before it began and managed to coax the Adder out of the house safely. 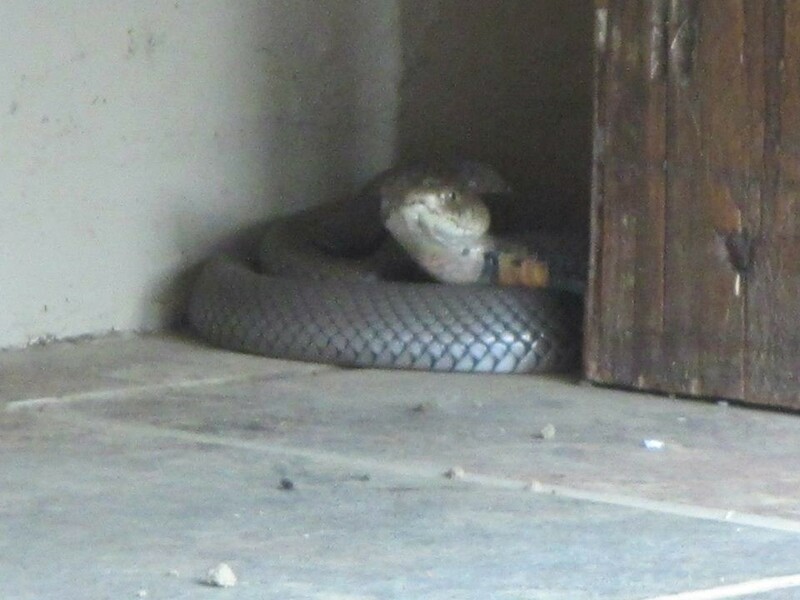 A month later, we found a Mozambique spitting cobra (Naja mossambica) taking refuge under a wooden chest on the front porch. Yes, there were quite a few thrilling moments at the reserve. When I finally started my conservation work on the second day, I was hooked. It felt so natural for me to be there and everything felt familiar. It could be because of the thousands of documentaries that I watched since I was a young teenager. Watching the Giraffes coming to our doorstep to have a drink, and the Blesboks (an antelope species endemic to South Africa) explosively taking off together in the open grass plains…those were scenes which were hard to get tired of. Well, it was not always a bed of roses. 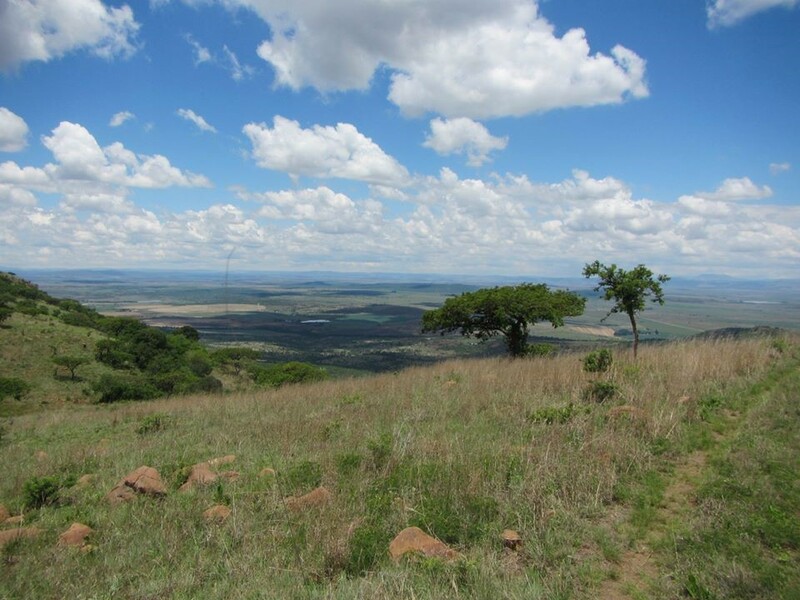 Apart from the good times, I was at the reserve during the African summer period. So, at times I felt like I was melting away under my protective long-sleeve clothing and often wished I could hide in a large dark burrow somewhere on the reserve. But the work has to go on. At times when temperatures were unbearable (higher than what the thermometer on our veranda could display and upwards of 50 degrees Celsius in the sun), we postponed the work to late afternoon. No matter how hard it got, it only motivated me to work harder and longer each day. The work was very hands-on and there was no place for stand back spectators. The reserve managers, Jandre and Sarah were incredible. 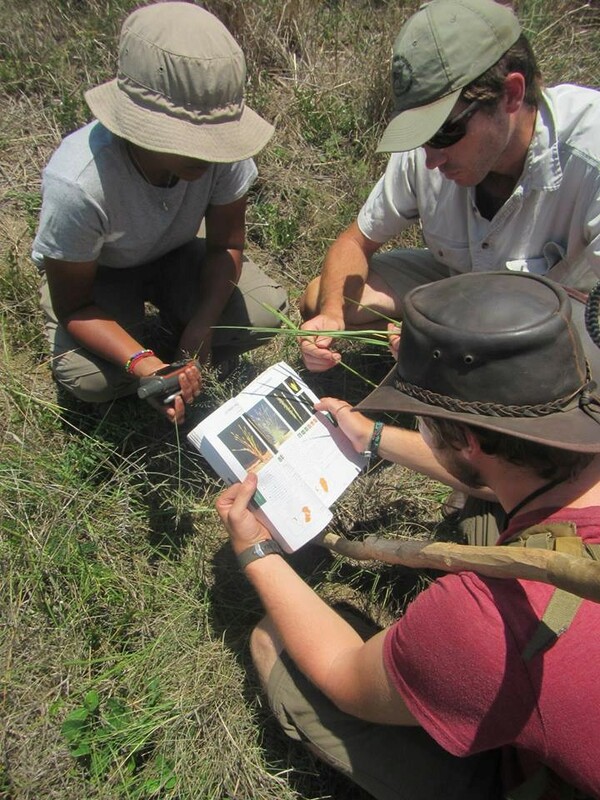 They did a great job in imparting field work skills and develop your understanding of why the work you do is so important and how it directly contributes to the reserve and wildlife conservation. This was great learning. Being able to see the direct contributions from your work, made a big difference to moral and motivation and further developed my understanding of reserve and wildlife management. I loved the fact that the reserve managers rewarded my enthusiasm and initiative by trusting me more and more over time, and presenting opportunities for taking on additional responsibilities. For example, I was requested to develop an advanced version of an ethogram to support Rhino behaviour studies. Another additional task was to develop a special map of the reserve (using Google Earth) that allows decomposing the reserve into its different ecological landscapes. I wanted to make the best out of my time there. I went all out for it, embraced every opportunity that presented itself, and I felt massively rewarded for it. Working on the reserve meant being a part of everything that is involved in managing it. During my ten weeks there, I was involved in camera trapping, pitfall trapping, small mammal trapping, game count surveys, grass surveys, tick surveys, bird surveys, animal behaviour studies, animal husbandry (for African Wild Dogs) and the list goes on. Participants are definitely not encouraged to be special princesses or princes there. The reality of field work is being an all-rounder and a good team player who pulls their weight in gold. Our ability of working in a team was put to the test when we had to build a rain water collection structure to provide a consistent supply of water to a small pack of African Wild Dogs on the reserve (water is a very scarce and expensive commodity in Africa). 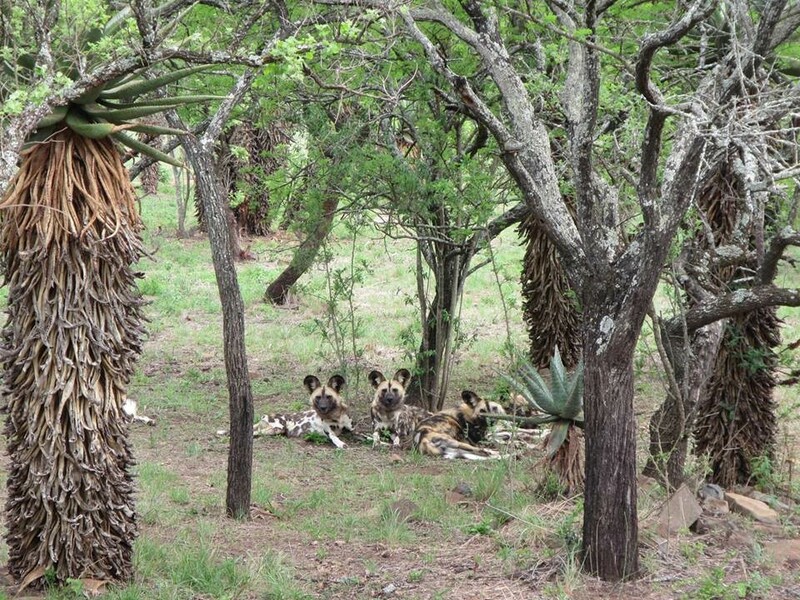 These Wild Dogs were temporary residents at the reserve while being on transit to WildlifeAct (an organisation which focuses on Wild Dog research with volunteer opportunities) for a breeding program. To build the structure, we had to source appropriate materials, dig out soil and rocks (to lay the foundation with wooden beams) and hammer away till the cows came home. Everyone pitched in and worked hard together. The moment of pride overwhelmed us when we realised that as a team we had built something which actually worked! Everytime we drove past this structure, I couldn’t help but smile to myself with quiet happiness. Apart from field work, we also had to keep the house clean, work in the veggie garden, cook our own meals, collect firewood for our weekly Braai (a South African version of barbeque – which was awesome by the way), carry out reserve maintenance work (e.g. erosion control, fixing roads) and budget for weekly groceries using a point system. Using the point system to get your weekly groceries meant really understanding your nutritional needs and avoiding food waste. Of course, it was not all work and no play. On alternate weekends, we went out on fun excursions and day trips, visited the grocery store to stock up on naughty items like chocolates and chips, or visited the pub in the nearest village (about half an hour drive away in Colenso) for a highly deserved pub meal and drinks. I loved the visits to the pub; it always felt like a scene from the TV series ‘Cheers’. Everyone knew each other and remembered your orders, I loved it! This place and internship changed my life in a profound way. I may never be able to fully explain why, but as everyone tells you so often…Africa changes you…that was definitely true for me. Such fond memories fill my heart as I recall my time there to write this piece. This experience brought a different dimension to what I know about wildlife conservation and myself as a person, with each moment contributing a profound and lasting change. This trip came with some sacrifice, but I gained so much more from this experience, and nothing in this world can ever take it away. Would I do this again? In a heartbeat. I am currently working as a Citizen Science Officer in Sydney, New South Wales Australia. I feel everyone can play a part in giving our natural environment and the wildlife a hand. This role helps me create opportunities to involve the community in direct conservation initiatives. I am keen to develop my project management skills further within the wildlife conservation sphere. I think managing projects efficiently can be vital given the shrinking funding and I like stretching a dollar to the maximum (in fact, I love it). Remaining positive is my conservation mantra. To spread this message, I created a blog Conservation for the Wild which highlights positive stories and other information from around the globe. Such a beautiful rendition of memories that leaves us, the readers is absolute awe! I am truly envious of your stupendous adventure and would love to read more of your sharing! If you have not already, have you considered to be an author, Geetha? Best wishes to you and your passion!